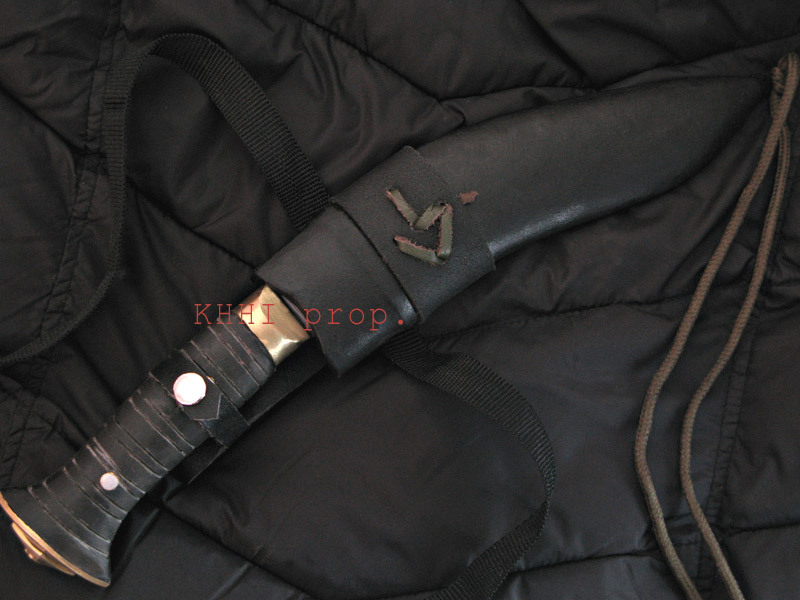 The remarkable success of the raw black bladed version encouraged and influenced the creation of this unique kukri having even more benefit and feature..
A sort of tribute to the legendary Gurkhas and their famous kukri knife. A Gurkha is well known for his loyalty, courage and ferocity and so is his kukri he owns and uses as the most feared and trusted weapon and a tool. This “Gurkhe” kukri comes as a celebration of these two iconic bodies and represents the duo in the best way possible. A dedicated Gurkha standing as a bodyguard with his kukri knife hanging from his waist is the best scene one can imagine when you are a victim of an offence (terrorism). When you are in wrong time at wrong place, a gurkha and his kukri can be your savior. 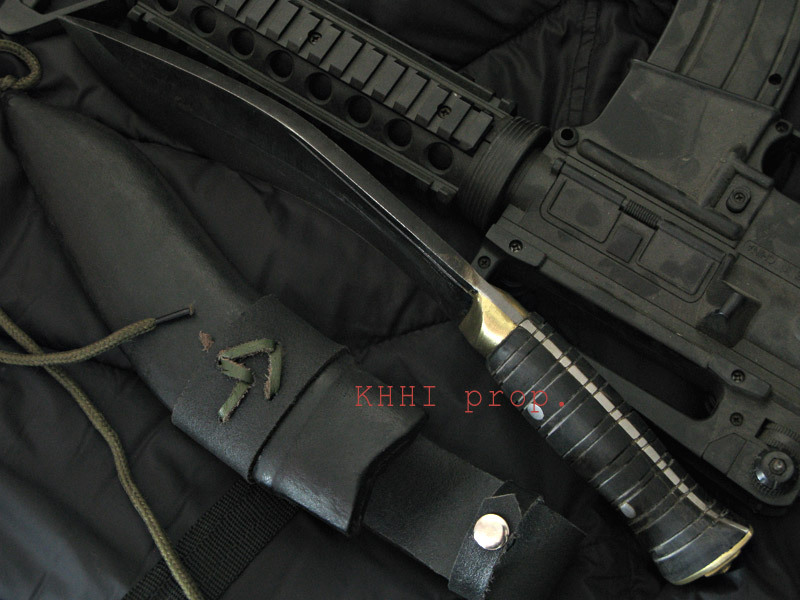 Story behind the name >> The remarkable success of the raw black bladed version encouraged and influenced the creation of this unique kukri with even more benefit and feature added. Gurkhe is a desire to handcraft an outstanding and exceptional executioner to meet a user’s tall order and to safeguard him at the same time. 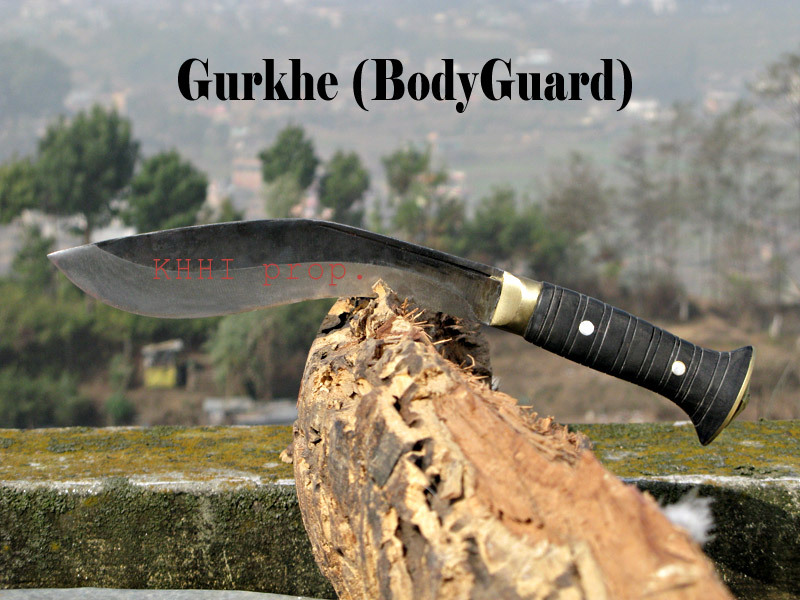 The name “Gurkhe” is given to denote a typical Gurkha who would die to defend and to guard his honor, duty and territories, and hence the title “Bodyguard”. It’s a worthy name chosen to denote and refer this knife to the legendary Gurkhas, their caliber and their amazing persona. Use / purpose >> This 8” Gurkhe knife synonyms of the great Gurkhas with its excellent qualities and advances is an awesome kukri knife to carry and hold, to swing, to be with at all times, be it dark or light – to save, protect and defy an enemy’s attack and nature’s fury. Size of blade: 8 inches approx. Thank you for reaching out, I've been meaning to contact you. Your customer service is outstanding, and I could be happier with my Gurkhe(Bodyguard) Kukri, Craftsman Ajay Magar (Laure) did a fantastic job! P.S. I was pleased with the shipping time also. i received my kukri bodyguard, thank you very much it even looks cooler than on the picture, really nice work of your kami Kiran Biswakarma, thank you, you are an artist.